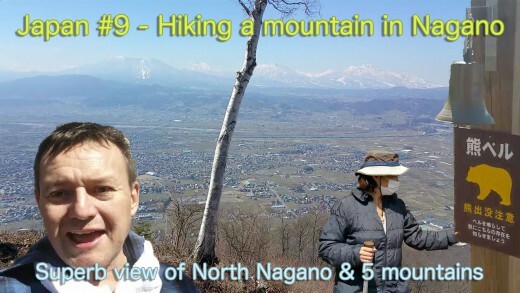 Nige & June go hiking near Obuse Nagano. Obuse is a town in north Nagano. Obuse is also famous for chestnut, Sake, Ganshoin temple with a famous picture and old ‘Kura’ warehouse. 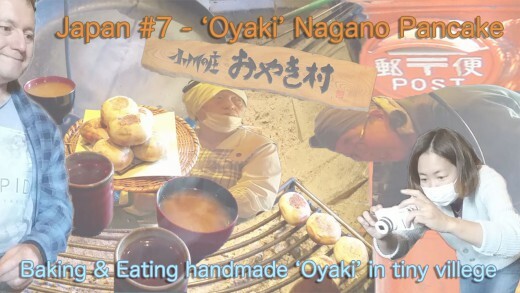 We try the famous Nagano Japan pancake in the mountains. It’s authentic Oyaki pancake which comes with vegetables inside.